To complete the series of articles about Lubuntu here is a guide showing how to upgrade from Lubuntu 13.10 to Lubuntu 14.04. The first thing you should do before upgrading your system is to backup your important files such as photos, music, videos, documents etc. Consider using a service such as Dropbox for synchronising all your data. This service lets you back up your files to external servers. Using Dropbox gives you two levels of safety. If Dropbox ceases to exist you still have the data on your computer but also if you lose all your local files (perhaps to disk failure or even worse a fire) then you will be able to download the files from Dropbox again. If you prefer to keep your data where you can see it then you can use DVDs, USB drives or external hard drives/NAS drives. Before you can upgrade your system you must update it. To update your system select “System Tools -> Software Updater” from the menu. 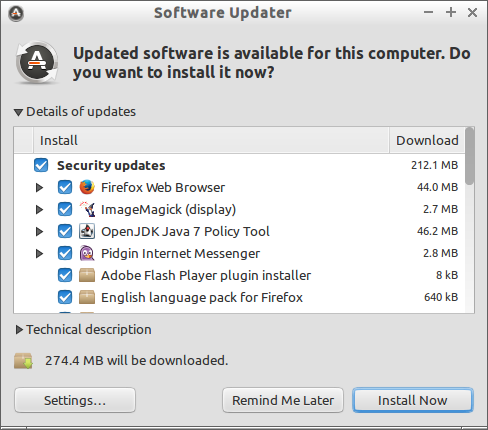 The “Software Updater” will check to see what needs to be updated. A list will be displayed showing how much data will be downloaded and also you can see which programs and files will be updated. To update your system click “Install Now”. The updates will now be downloaded and installed. 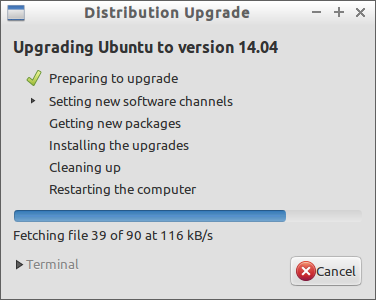 To upgrade your system from 13.10 to Lubuntu 14.04 select “Preferences -> Software and Updates” from the menu. If you have updated then you will see a message stating that you can now upgrade. To upgrade click “Yes, Upgrade Now”. A welcome message will appear telling you what you will get from Lubuntu 14.04. The upgrade will now start to take place. After all the files have been downloaded you will be asked once again whether you want to upgrade. (safety first I guess). 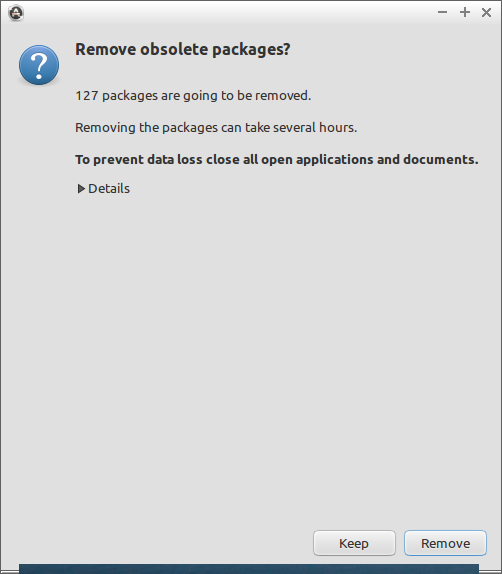 Towards the end you will be asked whether you want to remove obsolete packages. You can click on details to see exactly what will be removed but I would err on the side of caution and just not bother removing. The remove procedure as stated in the message is very time consuming and all you gain is a bit of disk space. When the upgrade has finished click “Restart Now” and you will have Lubuntu 14.04. It is worth following my guide “5 things to do after installing Lubuntu” as there are a couple of issues you might notice after rebooting. The first is that the network manager icon will be missing from the panel and if you are from the UK then you might be stuck with a US keyboard layout. This article concludes the series on Lubuntu for now. I hope that you found them useful. All the how to articles will be added to the tutorials section shortly. 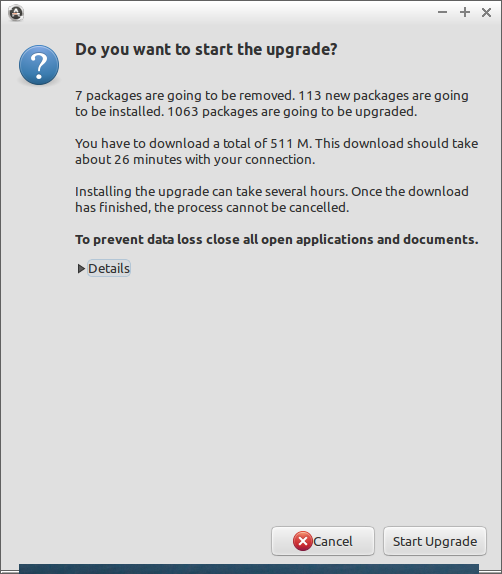 Is it better to install 14.04 afresh, or upgrade from 13.10? Especially bearing in mind that 14.04 is an LTS version, and 13.10 – not. Will my desktop and programs be preserved in the upgrade or will I have to reinstall and reconfigure( a pain!!)? It should keep all your desktop and programs exactly the same. I would recommend backing up first as always but when I ran the upgrade everything was as I had left it except for obviously new features/upgraded programs. "if you are from the UK then you might be stuck with a US keyboard layout." That isn't a trivial problem. It's been around for a while and it kills Lubuntu stone dead in non-English speaking countries, except for a few people who are willing and able to do a lot of geek stuff just to get started. I think it should be pointed out that your distribution upgrade will go nowhere if your computer does not have PAE enabled. It is a mystery to me why a distribution slanted toward the underpowered computer would have a requirement that cannot be met by underpowered computers. Can someone recommend an up to date Debian distribution for non PAE processors? Michael, Debian itself has i386 version. I believe it is a non-PAE.